A new modular mechanical keyboard has been made available to preorder this week starting at $60 and taking the form of the Glorious Modular Mechanical TKL Keyboard which allows you to use different MX-based switches from manufacturers such as Cherry, Gateron, Kailh, and Zealios. 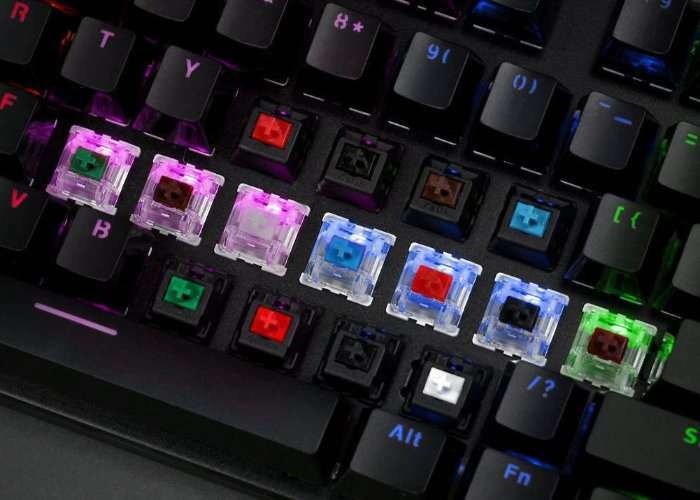 Enabling you to make your perfect keyboard using the tenkeyless mechanical gaming keyboard manufactured by the team at Glorious PC Gaming Race. The minimalist design is complemented with zero branding and is finished with a sandblasted aluminium faceplate. Other features include RGB LED backlighting is also present on the GMMK-TKL offering support for 16.8 million colours and 18 pre-installed effects plus one user-defined effect. more information jump over to the official Glorious PC website via the link below where different versions of the keyboard are available to preorder with prices starting from $60. A pack of 120 Gateron, Black, Blue, Clear, Green, or Red switches costs another $30 and Gateron Brown switches are priced at $35.